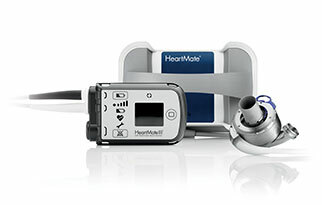 The HeartMate 3 left ventricular assist device has received US FDA approval as a destination therapy for people living with advanced heart failure. With the approval, physicians can now offer the HeartMate 3 system to patients not eligible for a transplant who will live with their device for the rest of their lives. For advanced heart failure patients who can no longer rely on earlier stage treatment options, a press release reports, LVAD’s take the workload off a weakened heart by pumping blood through the body. The press release adds that in developing the HeartMate 3 system, Abbott set a new standard in LVAD therapy—reducing the system’s size while reimagining how blood passes through a heart pump. The HeartMate 3 pump uses technology known as Full MagLev (fully magnetically-levitated) Flow, which reduces trauma to the blood passing through the pump while improving flow. The HeartMate 3 system’s US approval was supported by clinical data from the MOMENTUM 3 trial. During the study, patients with the HeartMate 3 LVAD had a survival rate of 82.8% at two years. Furthermore, rates of suspected pump thrombosis (clotting of blood) remained very low at 1.1% at two years. The study also showcased the lowest-ever published stroke rate (10%) for a continuous-flow LVAD at two years.